What makes Tradewinds RV Center one of the top RV dealers in Michigan? It's our huge inventory of top brand RVs, our super low, low prices, and our great financing options - among the best in the country! 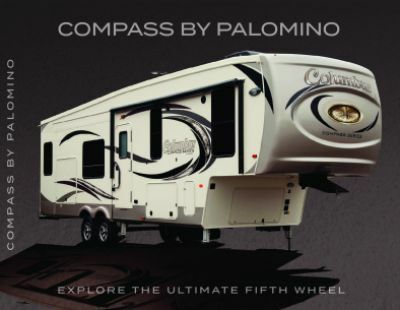 And we make it our goal to see that everyone who wants a new 2020 Palomino Columbus Compass Series 329DVC can own one at a price and payments they can afford! So stop in and see us today to bring home this handsomely appointed 5th Wheel! We're conveniently located at 4325 W Vienna Rd Clio Michigan 48420, and even if you don't live in the Clio area, you can enjoy our reliable, fast, 24/7 delivery anywhere in the country! Just give us a call today at 810-686-0710 and you can drive away with your perfect RV tomorrow! The hitch weight of 2086 lbs. means you'll tow this 5th Wheel with ease. It's 38' 1" long, 8' 0" wide, and the GVWR is a sturdy 14457 lbs! The 17' 0" awning provides shade and comfort for relaxing outside! 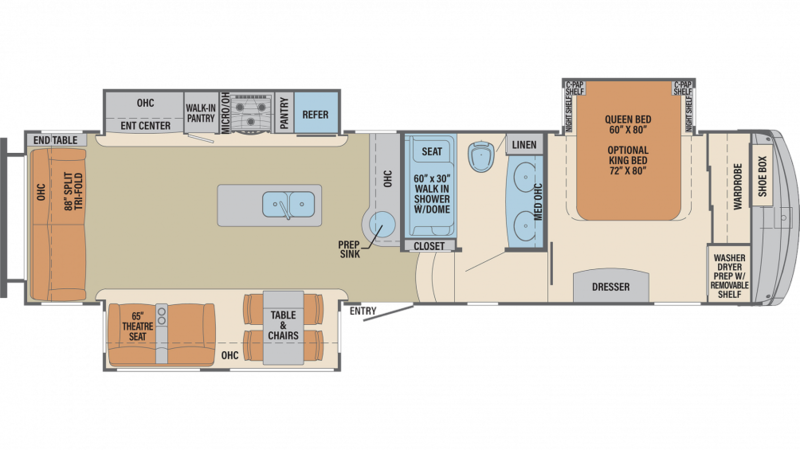 With its 3 slides, this 38' 1" long, 8' 0" wide, and 12' 4" high 5th Wheel has a spacious interior! The living area is kept warm in cold weather by the 35000 BTU furnace, and cool in hot weather with the 15000 BTU a/c. Sometimes, meals on the road can be challenging. No one wants to eat fast food every day. It gets old quickly, starts to taste bland, and is high in calories. Thankfully, this RV comes with a beautiful, roomy kitchen and every modern cooking appliance you need! The 3 burner cooktop lets you whip up delicious hot food anytime, and you'll keep a full store of meats, veggies, fruits, and juices in the 8.00 cu. ft. refrigerator! With the 75 gallon freshwater tank, you won't run out of clean water anytime soon! Nothing beats the convenience and privacy of your own shower and Porcelain Foot Flush commode! The 60 lbs. of LP tank capacity means you can enjoy hot showers all day long, while the 71 gallon gray water tank and the 39 gallon black water tank discreetly store the used and dirty water!